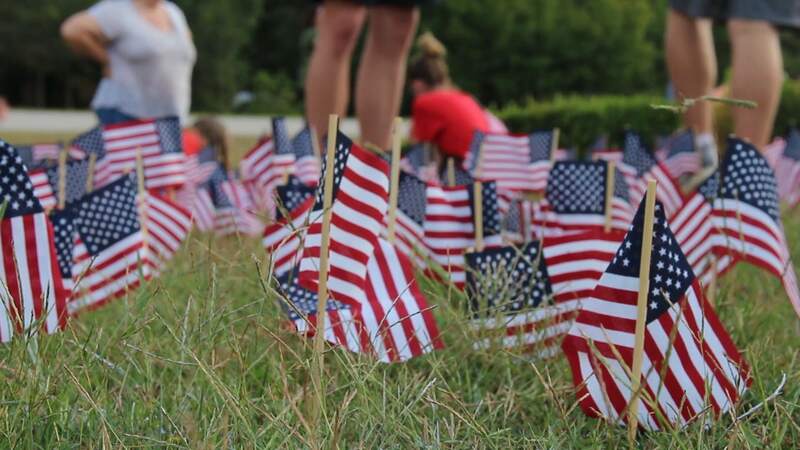 If you drive by North Oconee High School this week, you will see a field of flags. Tuesday marks the 17th anniversary of the 9/11 terrorist attacks. To remember this day, the Young Americans for Freedom chapter at North Oconee High School wanted to bring the community together. More than 100 volunteers planted 2,977 American flags in the school’s front lawn. Each flag represents a life that was taken on Sept. 11, 2001. “I just think it’s something people need to see,” said YAF chapter chairman McCord Camp, a junior at North Oconee High School.